A funny thing I have found with Highland Park is that the official bottlings are blended with a specific house style in mind – which is normal – but the independents I’ve tried, especially the ones with a bit of age on them, seem to diverge more than a little from the official style. Nose: Hmm.. quite a bit going on. Evident salt sting, lots of brittle dried leaves, leather strips, and a very gentle earth. Menthol like a sliver of fisherman’s friend but lined with some medicinal green herbs, and a bit of dried flowers too, also a tiny bit of camphor. A bit here and a bit there, so more of a restrained nose, rather introverted, even though you can tell there are things going on. Stylistically it seems very much in line with several other 70s Highland Parks I’ve tried. Palate: Again leather strips, dried floral satchets, wrinkled knobs of forgotten ginger. Then some peppery heat, no doubt from that fisherman’s friend. The soft earthy aspects bring up the rear – Dried leaves salt air, bits of earth and tobacco. Also those thin medicinal greens. Quite different from the style of other 70s officials, say the 1977 Bicentenary. Maybe not the best 70s Highland Park around, but pretty good as it is. Finish: Medium long, something of a plantive herby-floral sour note. earth, dried leaves. Nose: Again an evident salt sting, but immensely deep with lots of petrichor, wet clay, rotting logs, slices of nutmeg fruit in syrup (got to be real old school to have eaten these – they always left a tart medicinial sting), Mentholatum, old waxes, and earth with a hint of ripeness in it if you know what I mean. Piles of dried branches. Grandma had small bushes with small but thorny leaves and grew clusters of red berries with a translucent pulp and a seed inside. Poisonous I think, some sort of tropical Holly. This smells like the berry crushed: piquant, sappy and medicinal. A lot going on here but not an easy one to nose, and really quite an extreme style. Palate: Mentholatum, hot! bright green herbal tinctures, picquant, sappy, earthy-medicinal, preserved cloves again, subsiding to the warm glow of chest rubs while applying a clay mask and lying on a wet bed of Orkney earth. Fantastic whisky, though certainly not a profile commonly found, and I fear less may warm up to it as I have. Warning though, approach with caution. Finish: Long, mentholated, medicinal in the hot and nutmeg-earth manner again. I would even have given this full marks, but for the maybe unusual profile, most interesting I’ve had in a long time. 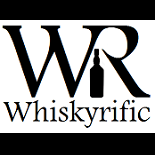 This entry was posted on February 11, 2018 by Whiskyrific in Highland Park and tagged Highland Park.